In addition to personal injury law I also practice criminal law. As someone who is regularly in criminal court I can attest that s.738 is rarely used by Crown Prosecutors to obtain compensation for victims. Their court lists are typically jam-packed with accused persons and their focus is to get through as many matters as possible to avoid damaging delays in the court system. Typically, the victim has no idea s. 738 exists, and the criminal gets sentenced without being forced to compensate the victim (at least in the criminal process). In my civil practice when I represent a victim of a crime the first thing I want to know is the status of the criminal charges. If the criminal has not pled guilty (or found guilty after a trial) I contact the Crown Prosecutor to alert him or her about my involvement, and the fact that we want the Crown Prosecutor to rely on s.738 so that my client will receive at least partial compensation. It is important to note that under s.738 a judge can only order that the offender provide compensation for “pecuniary” losses (i.e., relating to or consisting of money) only. Pecuniary losses can include compensation for “loss of income or support”. Under s.738 a judge cannot order the offender to compensation the victim for non-pecuniary losses (e.g., pain & suffering, loss of enjoyment of life or loss of amenities). To obtain compensation for non-pecuniary losses one must pursue the offender in civil court. Let me give you an example to show how s.738 works. Years ago I represented a victim in a bar fight. He was truly an innocent bystander who happened to be smashed in the face with a beer bottle. He suffered extensive dental injuries and was plagued by excruciating headaches which lasted for years. The offender was caught and charged with Assault Causing Bodily Harm. The case against the offender was very strong (there was CCTV footage) and he intended on pleading guilty. Fortunately the victim hired me shortly after the incident occurred, and I took the following steps to ensure that my client obtained at least partial compensation for his pecuniary losses in the criminal process. I contacted the Crown Prosecutor and alerted him to s.738 and explained that I wanted him to ask the judge for a compensation order. He admitted to me that he rarely used this section and had not intended on relying on it in this case. I contacted my client’s healthcare providers to obtain receipts of the expenses he incurred in seeking treatment for his injuries. His dental expenses alone were over $25,000. I obtained a letter from his employer confirming the amount of time that he missed from work, and how much income he lost because of his injuries. I put together a booklet of my client’s pecuniary expenses (i.e., treatment receipts and the employer’s income loss letter). I included an index as well as a detailed summary of the expenses which totalled almost $30,000. I made 3 copies of the booklet (for the judge, defence lawyer, and prosecutor) and had them delivered to the Crown Prosecutor along with a letter again referring to s.738 and requesting that the Crown Prosecutor seek a compensation order under that section. I sent this material to the Crown Prosecutor weeks before the offender was to be sentenced. On the day of sentencing I attended at criminal court and spoke with the Crown Prosecutor to confirm that a s.738 order was being sought. In that case the judge made a s.738 order and the offender was required to pay my client approximately $30,000 for his pecuniary losses. In that case the judge actually incorporated the compensation order into the 3 year probationary term that the offender received (in addition to some jail time). The offender, therefore, faced the risk of a ‘breach of probation’ criminal charge if he failed to pay the compensation to my client. Not surprisingly, the offender paid the compensation to my client. This did not end the matter as we still had a civil claim against the offender, but the partial compensation was welcomed by my client as he had incurred significant debt as a result of the assault. The civil claim was ultimately successful as the bar (which had over-served alcohol to the offender) ultimately provided further compensation to my client. If you are a victim of crime remember that the criminal process can provide you at least partial compensation for your losses. If you have any questions about the process please contact me. 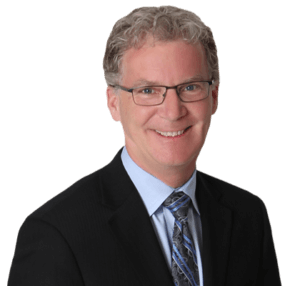 David’s practice includes representing injured people in various areas including automobile accidents, Mediations/Arbitrations at the Financial Services Commission of Ontario, slip-and-fall accidents, LTD claims, CPP, and ODSP disability claims.